Some writers are planners; some like to fly by the seat of their pants. I’m somewhere in the middle. The question that often stumps me is this: what happens next? This uncertainty is the bane of my writing life. I’m sure other authors/writers deal with this more easily than I do. I imagine they pull the next act from a file drawer in their brains, or pull on their sturdy boots and tromp into the fertile wilds of their imagination, or perhaps fall asleep and dream of viable options. For me, it’s been practically a syndrome. I can start with a great concept for a story, go full speed ahead, and then suddenly fall off the precipice of my idea and find nothing there to hold me up, like a train running out of track over a steep cliff. Freefalling into the inspirational void is a bit scary. And can be quite frustrating as well. This doesn’t happen when I’m writing with my co-author, PJ. We never seem to run out of ideas as a team. No, the what happens next syndrome only strikes me when working on my solo projects. Fortunately, I have discovered some techniques that ease me past this crippling obstacle. Surprisingly, it turns out that when I don’t know what to write next, the answer is to write anyway. Make a schedule. I find I am much more productive now that I’ve established a schedule for my writing instead of just fitting it in willy-nilly. I’ve had no real excuse for being so lackadaisical; I don’t work an outside job. Writing is my job. Given that fact, I reasoned it’s important to spend some time each day on my job. I’ve found it doesn’t necessarily have to be the same time every day, as long as I set aside time each day to write. Define a goal. I have yet to reach my daily writing goal, but I’m not abandoning it because it’s something to shoot for. It is my personal ambition to put out 70,000 words in a 30-day period, which means I must write 2,333 words per day, with no days off. Like I said, I haven’t met that daily goal yet, but I’ve come close. And at least I’m writing. I strive. In that striving, I accomplish something. And something is better than nothing. Track your work. I’ve started keeping a record of how many words I write each day. It only takes a few seconds to jot it down and I can look back over my chart and see that progress is being made. On dry days, this chart can give the spirit a boost. Peruse your favorite how-to book. I’ve read a number of good books on the subject of writing, but my current favorite is No Plot? No Problem by Chris Baty. It’s written with a casual, humorous style that I find helpful and engaging, and I feel it specifically addresses my particular problem with what happens next. I’ve been inspired by this book. contribution. I’ve decided that writing is no different. It’s my career now (as well as my pleasure) and I’d better show up to get the job done. On my solo writing projects, I don’t have co-workers to cover for me and take up the slack when I’m absent. I realize perfect attendance is not always possible. There are illnesses and family emergencies, etc., but most of the time I succeed in producing something each day. It may not be my best work, but that’s why writers edit and revise later on down the line. Some days, creativity flows like a swollen river down a mountain pass and you can barely type fast enough to get it all down. Other days, it’s like mining for nonexistent diamonds, every word a painful struggle. But write anyway. Establish a writing routine or ritual. Having a set of props or habits that get you in the mode for writing is a big help, something that lets your mind know it’s time to tap that creative fount. My ritual involves a big cup of French vanilla-flavored coffee to help me concentrate. For some writers, it’s a certain kind of music playing in the background. For others, it’s chocolate. Or their cat curled up in the corner. Or first cleaning and organizing their desk. Or pulling out their storyboards and diagrams. Only you can decide what ritual works for you. my working copy or draft, I keep a list of ideas. Even when I’m not writing, I can still work on my project by adding to that list of ideas. The list includes scene ideas, perhaps snippets of dialogue I’ve heard in my head, descriptions that need to be incorporated in the tale, concepts that could be explored, interesting characters that could be added, brainstorming possibilities, etc. There is often research to be done as well. When writer’s block shows up to spoil the party, I just keep rolling along as if it doesn’t exist, workings on tasks that are just as important to the process as putting the words on the page. Does that count as writing? I think it does, although this work is not included in my daily word count. And it never hurts to spend a little time courting your muse by indulging in that which you find inspiring, whether it’s listening to music, gazing at beautiful art, looking at photographs, going for a walk, or just having a conversation with someone. Your muse just might sneak back and peer over your shoulder, curious about what you are doing, and ready to whisper in your ear once more. Rest assured answers will come. Yes, sometimes answers to the what happens next dilemma magically appear when you are least expecting it. As you write, your story takes on a life of its own; characters evolve; situations expand; and motives deepen. Remember, if you don’t like the way your story is turning out, you can always save a new copy and take it a different direction. (Never delete your old copy; there may be treasures inside that you can use a different way or for another project.) You are the boss of your work. So get in there, take authority over it, and make it behave! 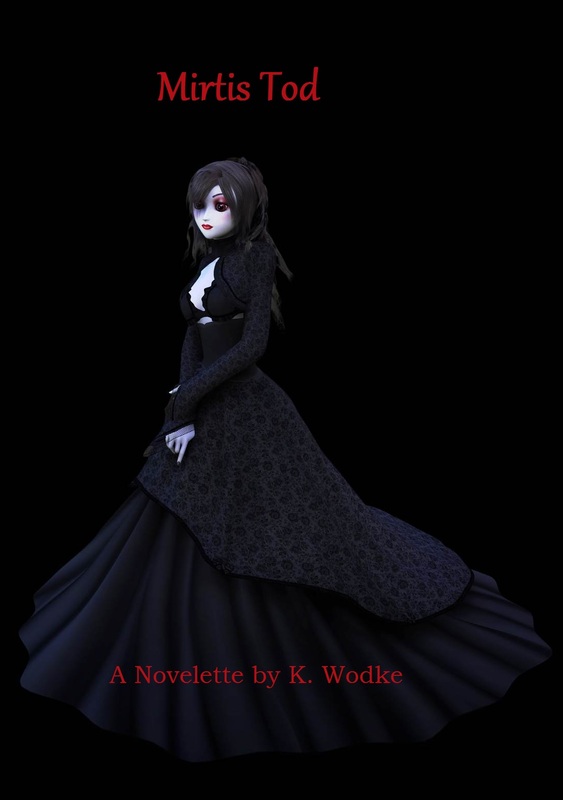 Most recently, I encountered the what happens next dilemma while writing Mirtis Tod, my novelette about a woman who is the opposite of brain-dead. Once I set up the story, I struggled to find an answer for this character whose physical body had died, leaving her awareness intact. Since her body continued to deteriorate, Mirtis faced quite a serious predicament. And so did I. I needed to solve her problem by the end of the tale. In the beginning, I didn’t know how it would be resolved, but I knew I wanted her to meet some interesting characters along the way and there were concepts I wished to express. So, I worked on those areas and just kept on writing. The solution eventually presented itself to me and I was able to give Mirtis Tod a conclusion with which I was satisfied. Remember, even when you’re not sure what happens next or how you want your story to end, don’t let that bring your work to a screeching halt. Keep on writing! 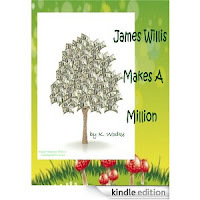 K. Wodke has published two novelettes: Mirtis Tod, a short novel of uplifting horror, and James Willis Makes a Million, a book geared toward young readers that can be enjoyed by those of all ages. Along with PJ Hawkinson, she is half of the writing team, Wodke Hawkinson. Their co-authored works include Betrayed, Zeke, Sue, Tangerine, three volumes of short fiction, and several short story singles.